Susan offers a variety of classes and workshops in Authentic Movement, somatic practices, and meditation in the San Francisco Bay area. She is also available to book for workshops in your local community in the U.S. and abroad. Authentic Movement offers a place of mindfulness from which your inner presence emerges–leaving you refreshed and filled with new clarity. “Soma” refers to the body experienced from within. Somatic Movement Education enhances one’s well-being and creates a dynamic, embodied presence that leads to improved physical, emotional, and spiritual health. 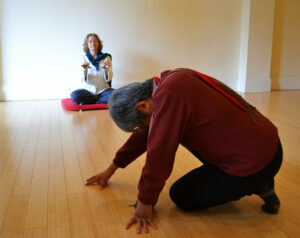 Somatic methods teach us to listen to our bodies. 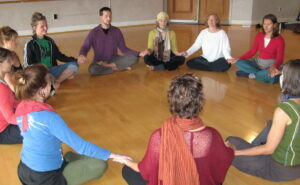 In these classes, we use meditation in concrete, practical ways for gaining insight into our lives. 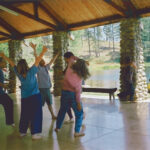 Moving-from-Within™ is a unique form of group dance improvisation founded by Susan Bauer that blends the structure and philosophy of Authentic Movement with creative improvisation. Read more.. 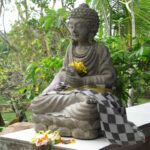 In Arts and Spirituality retreats you learn about and experience the creative practices and rituals of Balinese-Hinduism.